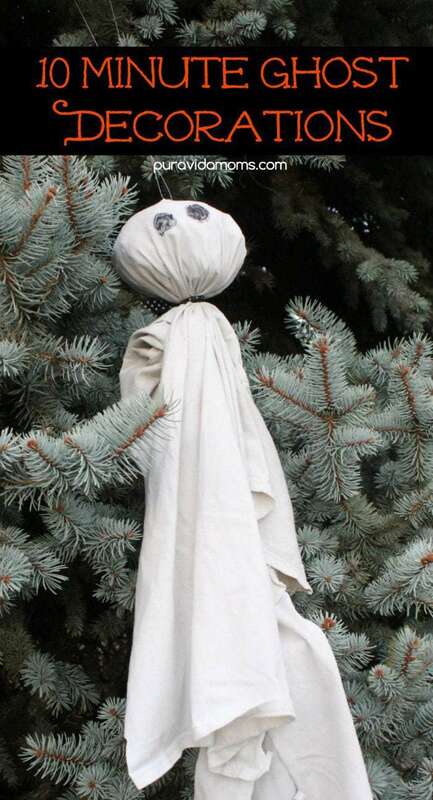 These adorable DIY ghost decorations can be made in less than 20 minutes with things you have around the house- super easy! My older daughter is really into decorating for holidays- and she has 10x more natural ability for it at 4 than I do at thirty… um, something. This year, after raiding the dollar store for what I thought was tons of Halloween decorations, my daughter looked up at me and said “that’s all?” Since necessity is the mother of invention, I quick invented these super easy DIY Halloween ghost decorations that we made as a family and hung. Please note that this post contains affiliate links that support Pura Vida Moms and no extra cost to you. 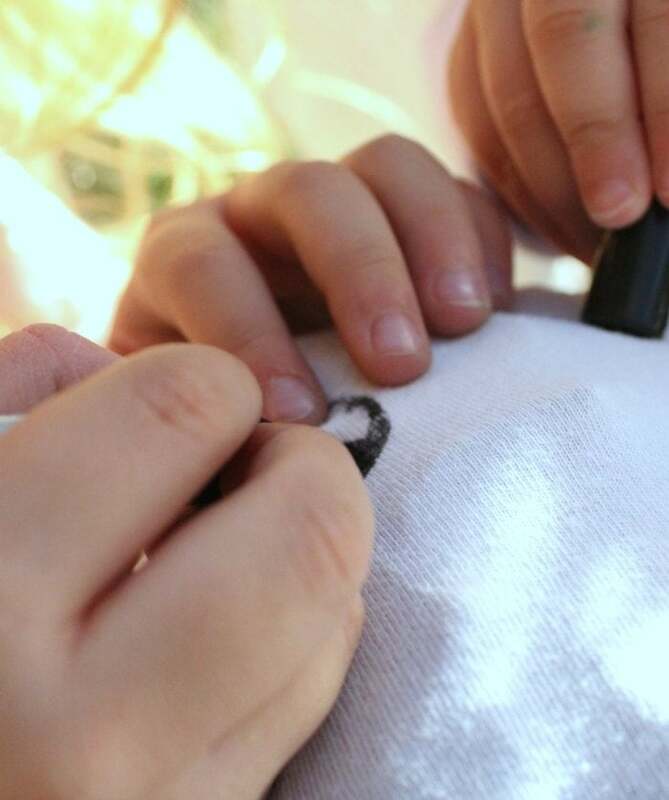 I used my husband’s old white undershirts for this project. First, cut the two seams up each side through the armpit seams. This left only the top seams along the neckline. Next, balled up three or four sheets of newspaper into one big ball (my daughters had a blast doing this). I put the ball just below the neckline of the shirt and gathered the rest of the fabric around it. Tie the string tightly around the base of the ball of newspaper on the outside of the t shirt fabric. With the black permanent marker, draw on some ghost eyes and a mouth, or just leave the faces blank. Up to you! 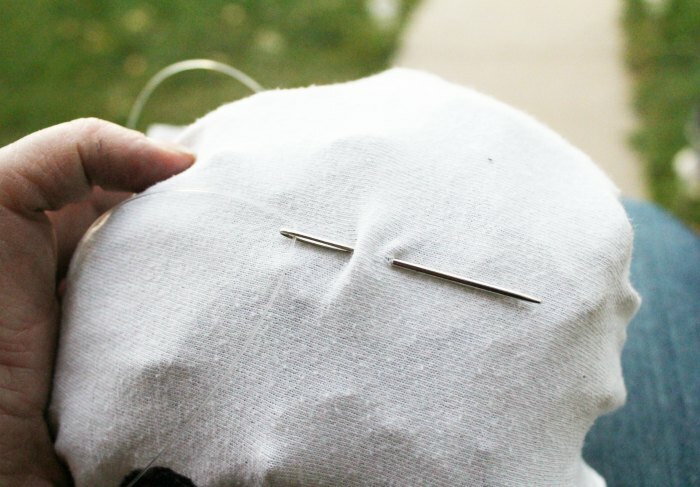 Finally, thread a needle with fishing string and draw one end through the top of the ghost’s head. Tie a knot with the two loose ends. Hang and enjoy! What other fun DIY Halloween decoration ideas do you have? Let us know in the comments below, and then check out these 25 fun Halloween decoration ideas from our friends at Mom Endeavors! Looking for more easy Halloween fun from Pura Vida Moms?